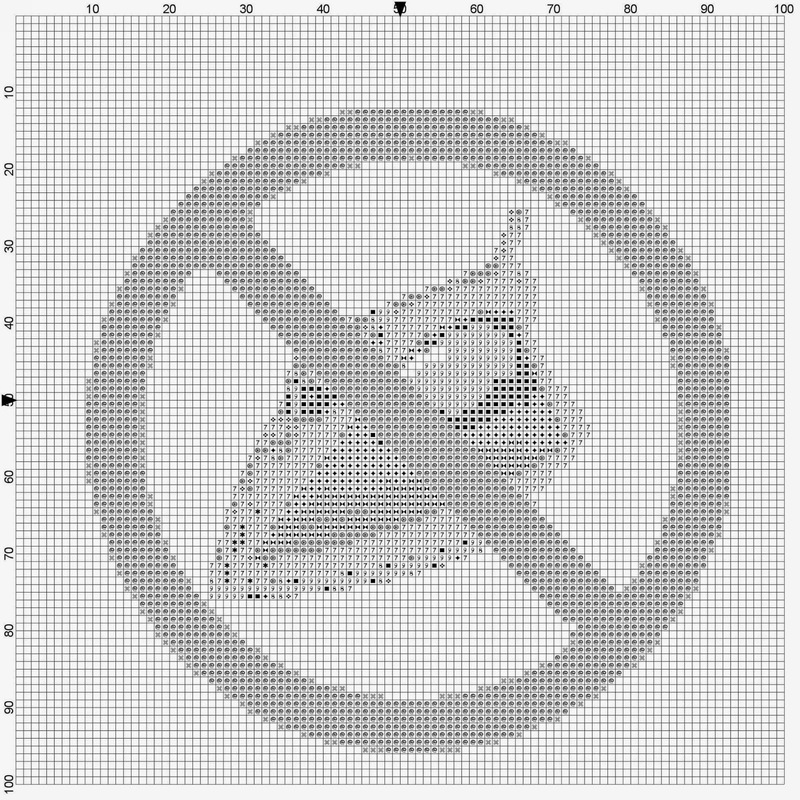 Stitchers Anon: Free Chart Winners and some freebies! Free Chart Winners and some freebies! I know, I know..it is Tuesday and I said Monday. What can I say or do to beg your forgiveness? I'm so sorry the post is late but we have a heatwave! Yes, you read right! Ireland is in the midst of a mini heatwave so I have to be out gardening, picking strawberries, weeding and making elderflower champagne. Wow, it is so easy to do! Why have I never made it before??? 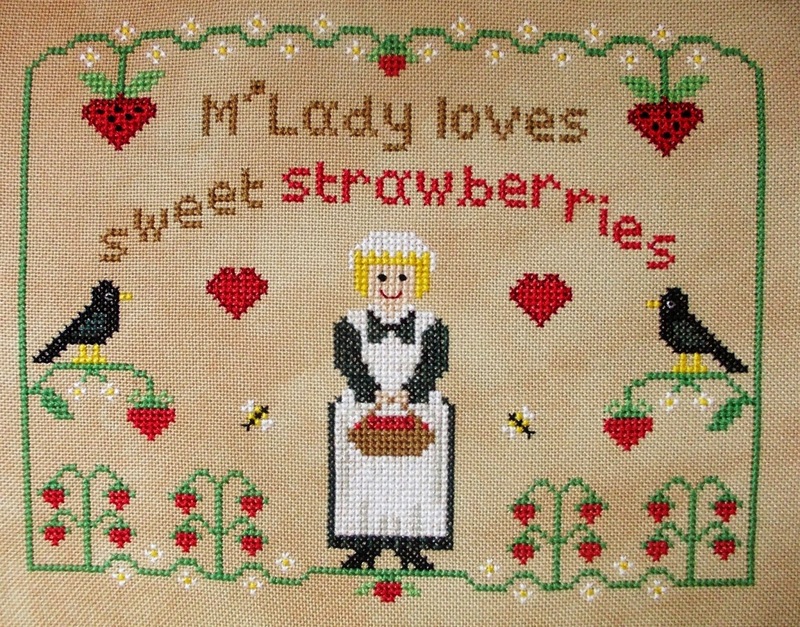 To make up for it I have chosen three winners, not one, for the free M'Lady Loves Sweet Strawberries PDF chart. So drum roll....hang on, need to work out how to work the random number thingy....and can't find a camera...that's about right. Well, I'm not going to look for it right now so you will have to take my word for it..I'm actually flat on my back trying to free up my sciatica nerve...who knew a nerve could cause so much pain? But I digress yet again..blame the pain killers haha. Congratulations! 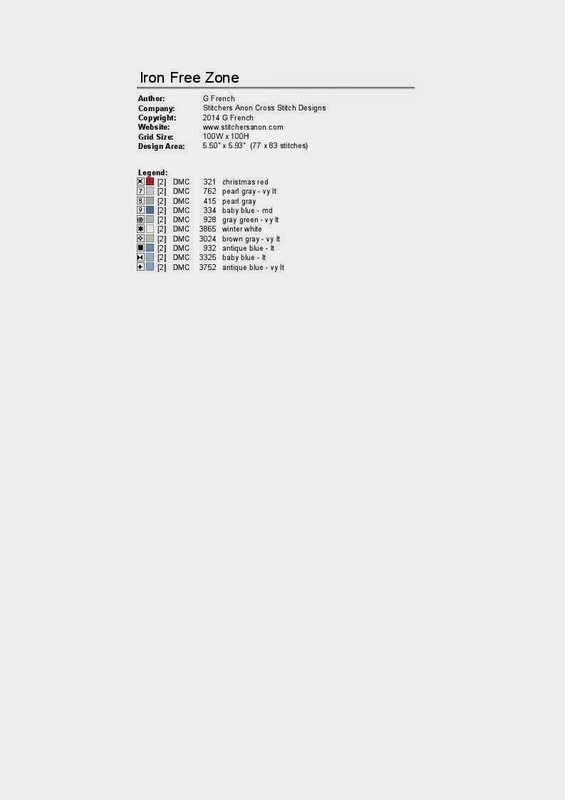 Please email me on stitcheranon@yahoo.co.uk or on the email addy I have on my blog profile and I will send you the pdf chart. Well, crafting wise I haven't done very much. I've been playing with crochet but haven't taken photos yet. I seem to have lost my mojo where stitching in concerned. 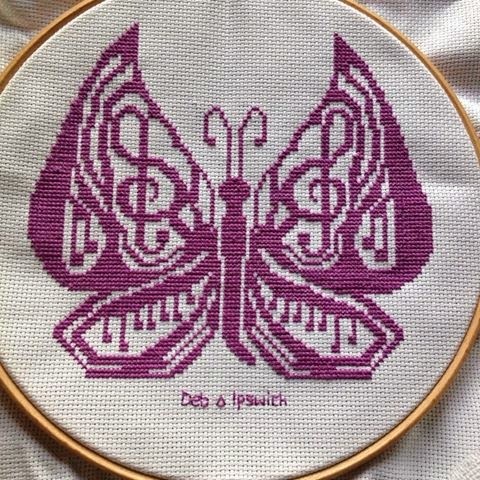 I have been pleasantly surprised however by how many people have been stitching my charts! Imagine how pleased I was when I popped onto their fb page and two of their stitchers had chosen my butterfly charts to stitch for a quilt! Haven't they done an amazing job? I can't wait to see the finished quilts. And I'm thrilled because it means my charts have helped two charities; one, the Irish Cancer Society and two, Love Quilts Uk. It's thrilling to think that the butterflies will be bringing smiles to some child somewhere who is having! a really tough time with their health issues! And of course it is flattering to see one of my charts stitched up. Talking of charts stitched up, a while back our very own blogger Sharon aka Sheebafudge asked me to design her something for her blogoversary. The number of years she has been blogging corresponds with the iron theme in wedding aniversarys. 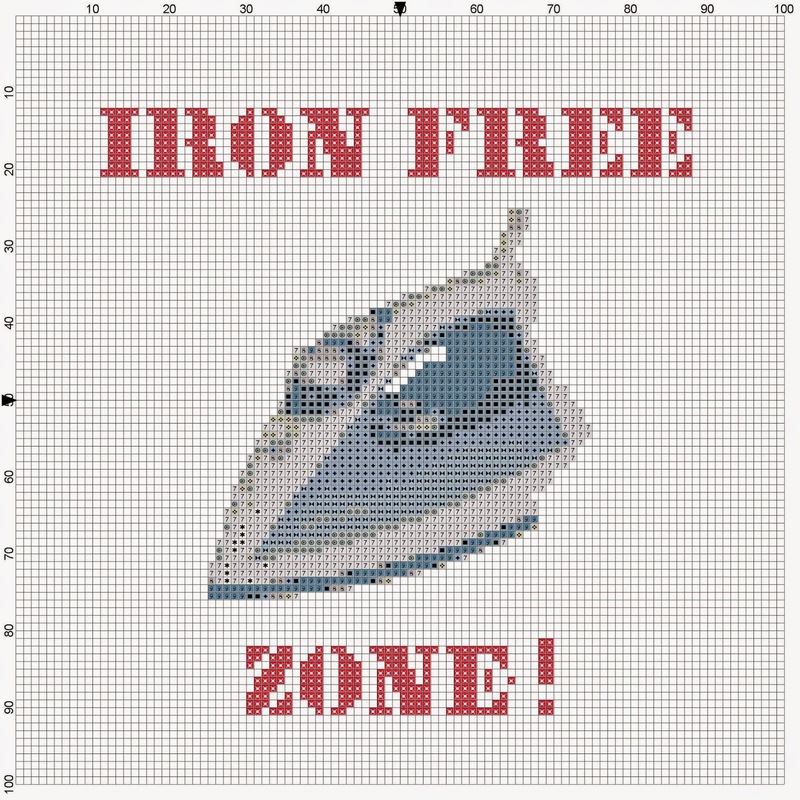 So bless her, she asked me to come up with something with an iron theme! Mmmm well I will admit, I was stumped for a few minutes...but then the ideas flowed in! I just love how Sharon has stitched and finished one of the charts I sent her! I'm amazed she found material with irons on! Sharon, you did a lovely job. It is gorgeous. And now she has finished it and her lucky winner has received the giveaway, I can offer the two charts I made for Sharon as a freebie. I love being able to help friends out like this. It is what crafting is all about isn't it? We really are the nicest people in the world. 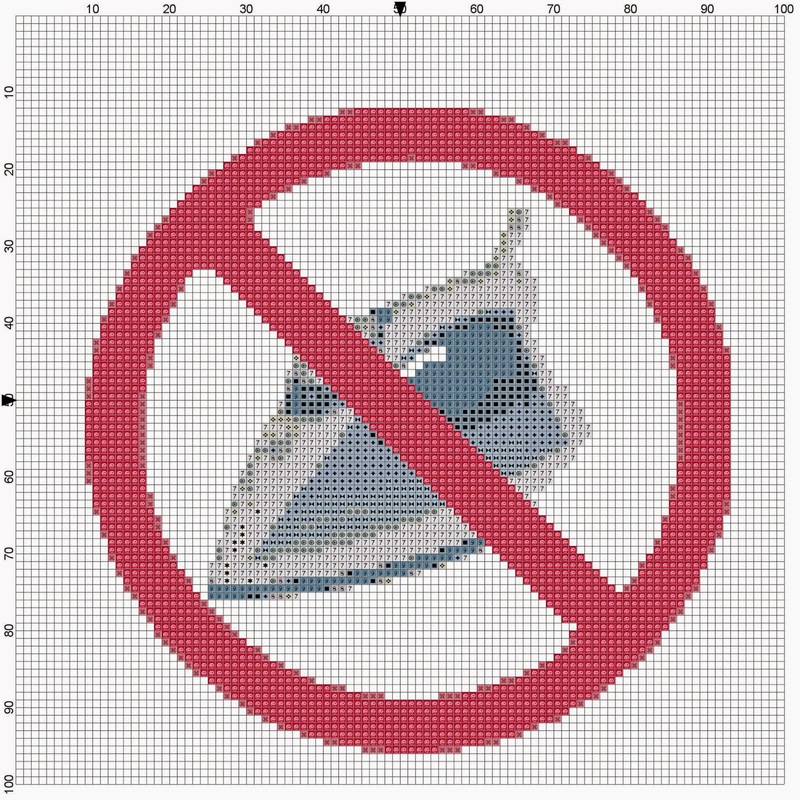 And how are you all doing with the virtual retreat stitching? Have any of you finished? 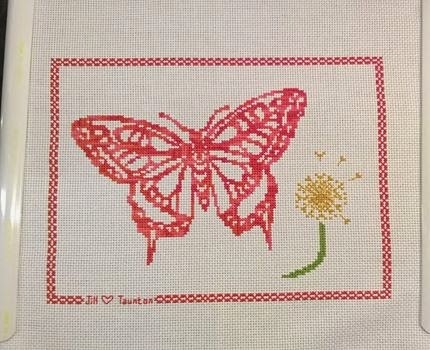 I would love to share your stitching with others. Just email with photos and I will put the page up. Right then, I will love you and leave you now with the two charts. Just click on them and then save and you can then print them out. And don't forget, I love to see your finishes! Oooh that is so so kind, thank you! Will email you shortly. The little heat wave you are having seems to have come stright from the continent over to you as we were having it before, lol. By now temperatures have cooled down considerably. Congrats to the winners of your wonderful chart. And I had to laugh a lot when I saw Sheba's No Ironing version from you. A fantastic design! I saw on the weather forecast that you were having some wonderful sunshine and thought you might be outside soaking it up... enjoy! I quite like ironing lol. Lovely quilt squares using your designs. 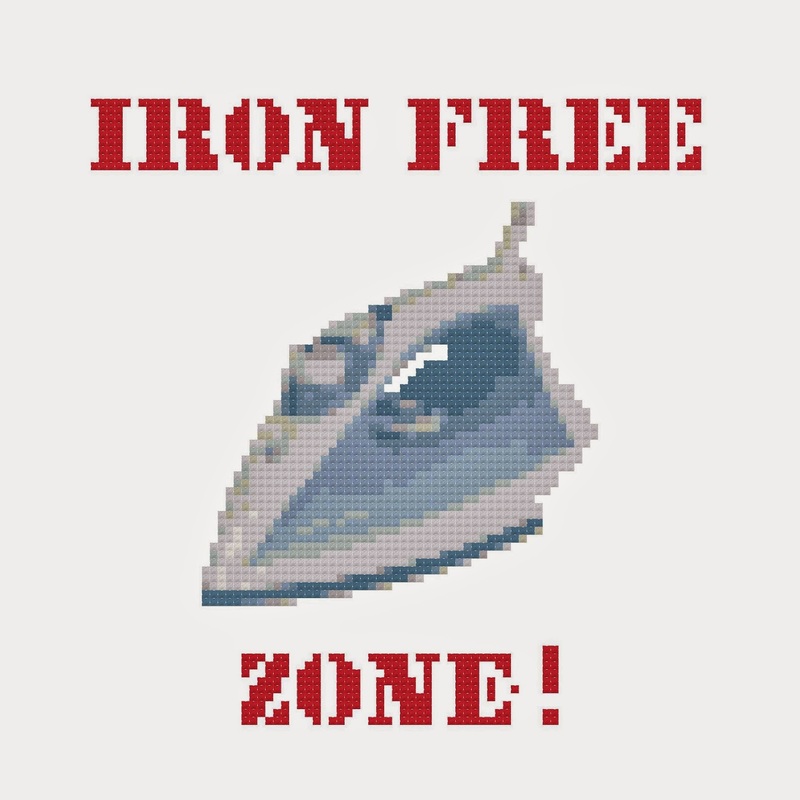 As soon as I saw the iron I thought of my eldest DD! Not an iron was lifted in 5 years at uni! I despaired! Congratulations to the the winner. Thanks! And congrats on your blog!!! Congrats to your winners! 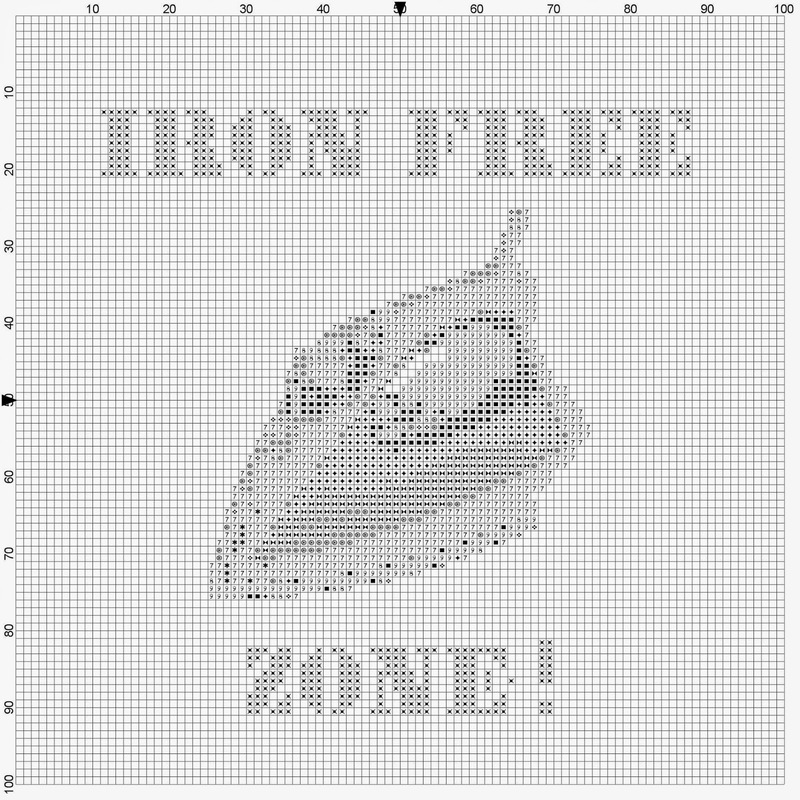 Love the iron free zone ~ if only I had that and my things were wrinkle free!